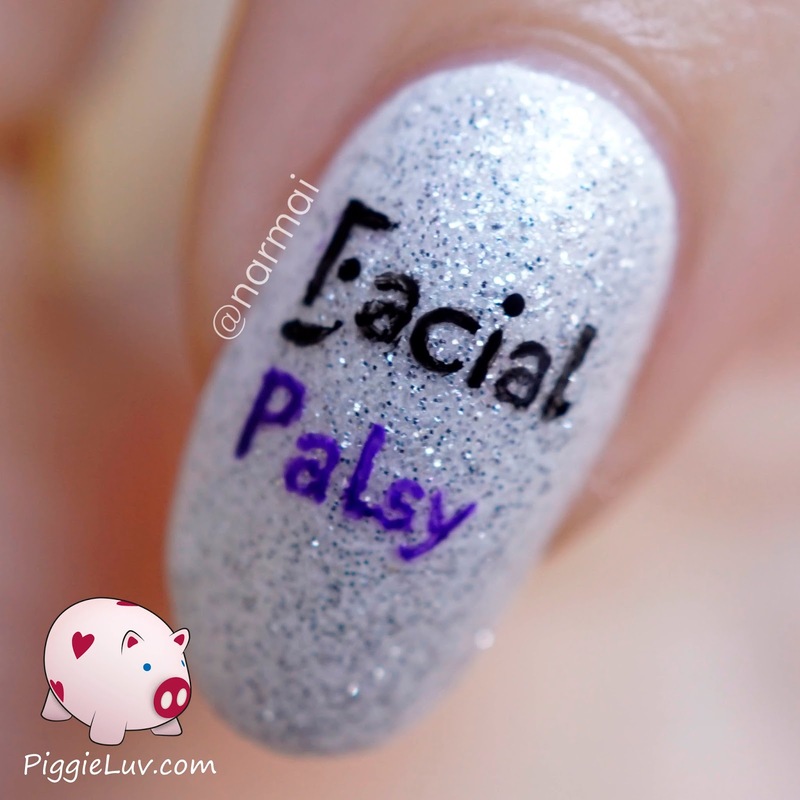 Today marks the start of Facial Palsy Awareness week. 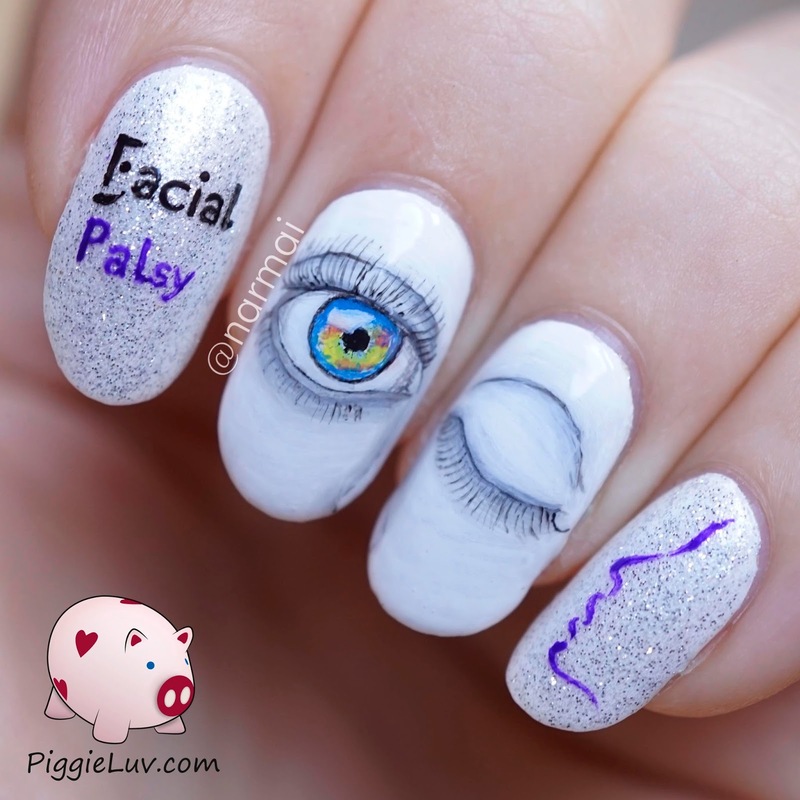 I was invited to this collab on Instagram with some of the best nail art ladies around! Please join us this week in raising awareness, the hashtag to use is #facemyday. Click to see more! We speak of Facial Palsy when damage to the facial nerve causes a person to lose control over the muscles in one half of their face. As you can imagine, this is very scary and also causes a lot of different problems in everyday life. For me, this hits close to home. I had ear surgery a few years ago and the doctor informed me of all the possible side effects of the surgery. He told me that I could very well wake up with the right side of my face paralyzed, so I spent days researching the condition and worrying sick about it. Eventually he was able to steer clear of my facial nerve, but had to cut out a piece of my taste nerve, so I don't taste anything on the right side of my mouth. Under the circumstances, it's the best of two evils. 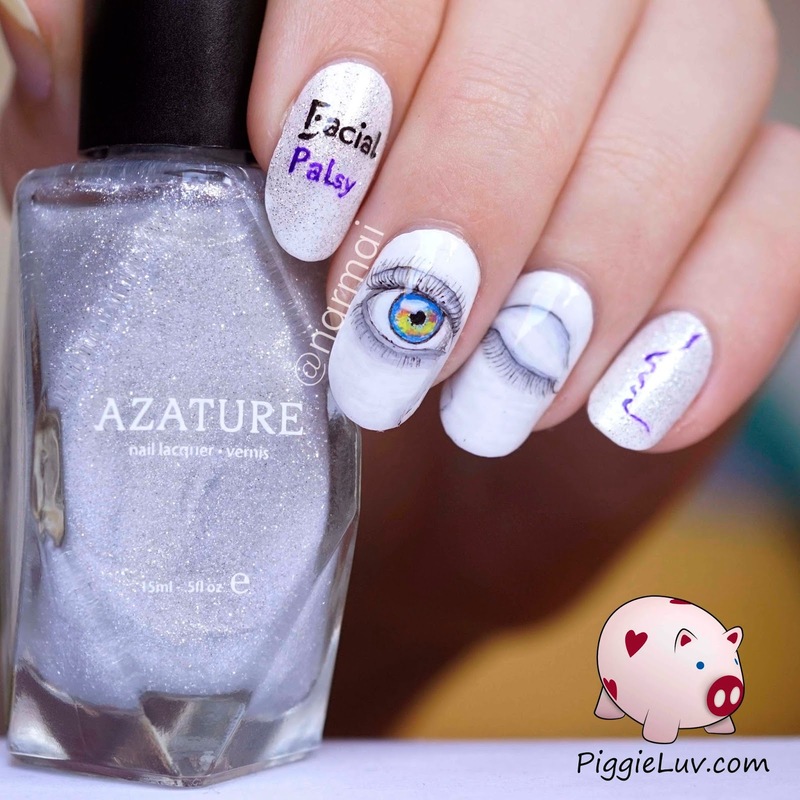 For my mani, I went with two eyes, one open and one closed. They look droopy, which wasn't my intention but it's my first time painting eyes :-p I used Azature White Diamond for the sparkles and I gave the eye lots of color to convey that even though Facial Palsy may affect the appearance, it doesn't have to dull the glamour and sparkle within! 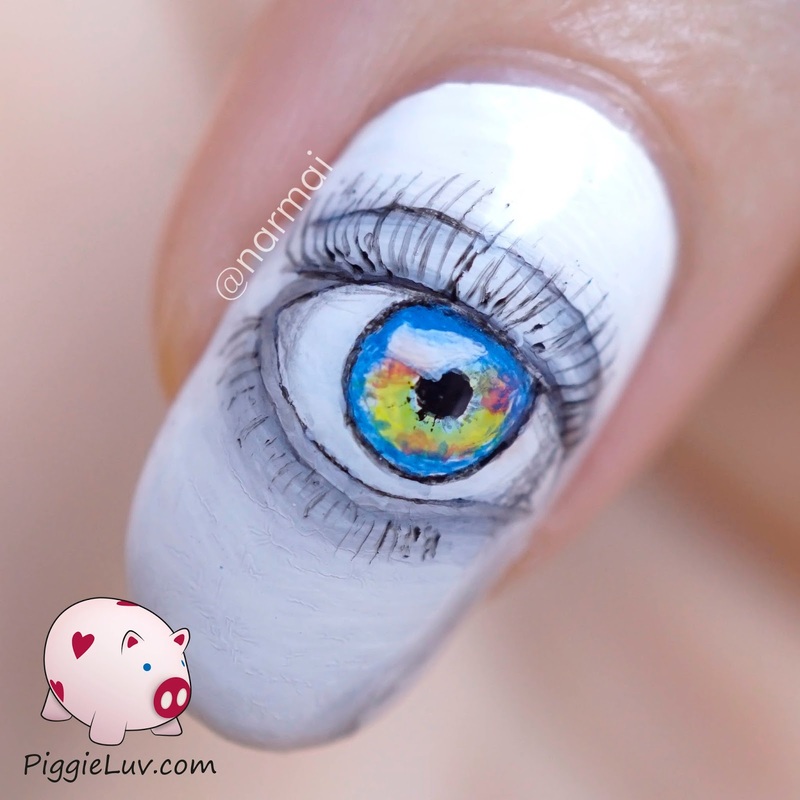 The eyes and the logo are freehanded with acrylic paint, and my brushes from Stylish Nail Art Shop, Christrio Scotland and Adnails Manucure. I received Azature White Diamond as a press sample for an honest review. Opinions expressed are 100% my own and not influenced in any way other than the quality of the product itself.